Are YOU ready for NBA2K15? The much anticipated release of the NBA 2K15 game has caused quite a buzz among gamers and basketball fans alike. This is because the game promises to be more exciting compared to its predecessors as it has included numerous feature upgrades in terms of the visual presentation as well as the gameplay among other improvements. The game’s official release date is October 7 and also has new modes added to it while a number of features have been removed. This new installment of the NBA 2K series is compatible with Xbox One, Microsoft Windows, Xbox 360, PS4 and PS3. Unlike before where the makers of this game had cheaper versions that excluded certain features for PC users, the PC version of NBA 2K15 is expected to be the same as the versions made for Xbox and PlayStation. One of the exciting things about the NBA 2K15 video game, is that it features renowned NBA star Kevin Durant, who plays for Oklahoma City Thunder on the Cover. Durant, an award winning basketball player has previously been on the cover of NBA 2K13. The sound track of this basketball video game promises gamers lots of fun and has been done by Pharrell Williams, an award winning artist and leading music producer. Did you Pre-Order KV MVP Pack? 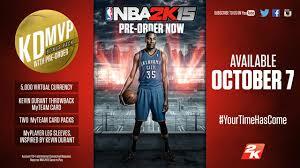 The NBA 2K15 video game is available for pre-order. The pre-order KV MVP pack includes a bonus track. Other features that are included in the pack are virtual currency amounting to 5,000 to spend in the game. You will also receive 2 MyTEAM card packs, rookie Kevin Durant or an international MyTEAM card as well as MyPLAYER leg sleeves that are inspired by Durant. What features can I expect this year in NBA 2k15? Among the notable features of the NBA 2K15 include the modes. To begin with, the Crew Mode is expected to make a comeback. Secondly, there will be a new mode that is known as MyLeague. This is perhaps a winning addition of this game. This mode is quite similar to the association mode in NBA 2K13 except that it has a lot of new improvements as the game seeks to reward its loyal fans through changes to the game such as the inclusion of marquee upgrades. It is also worth noting that fans will now have complete control of the league as well as its formatting. you will be able to shape your NBA team to your preference, while keeping in mind the divisional alignment as well as the teams that are in your league. In addition, basketball fans will be given the ability to use players they have created. There are two major changes in the presentation of the game that are also unique. First, is the inclusion of Ernie Johnson and Shaquille O’Neal that are co-hosts of Inside the NBA. Although their actual involvement is still unknown, it promises to add a thrill. Secondly, the game has included more animated graphics to the mascot of each team that further gives the fans a live game experience. If the trailer for #NBA2K15 video game is anything to go by, then gamers are in for a good treat from loads of slam dunks to slow motion replays, cheerleaders dance routine and camera sweeps across the pitch this game is simply exciting. There is no doubt that game will deliver the expectations of gamers and basketball lovers that are eagerly awaiting its October launch. The Professional Communication and Presentation reboot has entered the lesson-building phase; we’ve secured our new course textbook, developed assignments, and rubrics. Now, it’s time to craft lessons to help our students meet the objectives we’ve developed for the course. One of my primary tasks in creating lessons is drawing from and integrating strong sources related to our core outcomes. Today’s data display, courtesy of Daily Infographic and visual.ly, features a very important topic, how to find a job that will help you grow into your career. While this infographic features information you already think about when applying for a job, it puts the most important aspects that lead to career bliss first. Great way for kids to save over the summer! 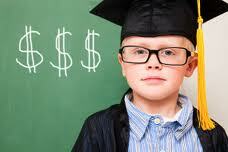 Teach YOUR Kids The Benefits of Saving by opening a Kids Savings Account from ING DIRECT. 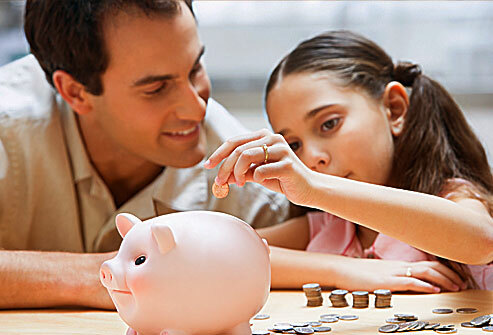 ING Direct is now offering Kids Saving Account. As another rewarding benefit, ING Direct is giving you $25 to get started & additional $10 for your family and friends. We’ll give You $25 and Your Friend $10. Refer your friends and family to ING DIRECT – and you’ll both earn money. For each person that opens an account, you’ll get $10. Now when you refer friends and family to ING DIRECT, you will be doubly rewarded. Instead of $25, ING DIRECT is giving $50 to you and $50 to your friend. What’s a unique referral link? Pinterest- Getting Rid Of The Old Corkboard and Tacks. One of the most popular social media websites to have emerged in the last few years is Pinterest, a site that is more like a social bookmarking site then, say, Facebook. On Pinterest users are encouraged to ‘pin’ photographs and other images as well as videos for their followers, friends and family online to see and enjoy. Basically Pinterest is an online pin-board, much like you would find in someone’s kitchen or a corporate lunchroom. When you find something interesting, important or otherwise valuable to share you simply ‘pin it’ to your Pinterest account so that others can see it as well. Those people that enjoy what you have ‘pinned’ can then share it with others. As with most social media sites you can build up a following if you ‘pin’ things that are valuable or interesting on a regular basis. You can also have as many pin boards as you like and they can revolve around anything you wish including your hobbies, creations and workplace. Does YOUR Teenager Have A Capital One 360 Teen Checking Account? Every parent desires to bring up their children with an understanding of how to manage finances and even attain financial independence. This is best attained by opening savings accounts that are tailored for children as well as teaching them about money sense. If you have a teenage child, then you will do well to take advantage of the Capital One 360 Teen Checking account that is a great step towards their financial independence. This is because it is an account you and your and your teen manage together. Moreover, there are a number of benefits associated with this account. First, the Capital One 360 Teen Checking account allows young adults to manage their money on the online platform or through the mobile app. This brings in convenience, as you do not have to physically visit the bank. The second benefit that comes with operating this account is that there is no set minimum amount and no fee charged to operate the account. In addition, the account also attracts Annual Percentage Yields of between 0.20% and 0.85% depending on your account balance. The third benefit is that account holders are issued with a MasterCard Debit card so that you can access money wherever you are whenever you need it. This card can also be used to make purchases wherever it is accepted. Alternatively, you can choose to skip the swipe and instead use the PayPass. Another benefit that you stand to enjoy from opening a Capital One 360 account is that the bank has a network of 38,000 free ATMs across the nation with the Allpoint network. This means that you are guaranteed of accessing your money from an ATM with ease. With this account, you can be sure to watch your money grow because by depositing paychecks into your account by making Direct Deposit. This account also entitles you to get text alerts whenever a transaction has been made on your account. This important security feature keeps you informed on the operations of your account. The other amazing product that Capital One 360 offers is the referral program that allows account holders to earn bonuses whenever a friend opens an account. The good news is that there is no limit to the number of referrals that you can make, even though bonuses are limited to 50 people and these amount to $1,000. It is important to note that bonuses are paid for those accounts that are opened and a total of three card purchases or Person2Person payments made within 45 days after the account has been opened. The $50 is awarded only when the new customer is a primary owner and is automatically deposited into your account on the 50th day. In summary, the Capital One 360 Teen Checking account is an ideal account for your teen as it presents several benefits even as it allows you to make money through its referral program that offers great bonuses. Thus, this is the best gift that you can give to your teen. I Love my Beats by Dre!! I love my Beats by Dre!! I enjoy them as I travel on the train to work each day. They give me the deep bass and the high quality sound I was expecting when listening to my favorite music artists. Beats Wireless headphones feature powerful sound, as clear and strong as any wired headphone. They also come with a cable you can plug into if you don’t want to go wireless. TEN HOURS OF BATTERY LIFE. Longer battery life means you can listen to your music for hours without interruption. To recharge your headphones, just plug your Beats Wireless headphones into any computer or USB port. PAIR YOUR HEADPHONES TO ANY DEVICE. Stream audio from your laptop, or any other Bluetooth-enabled device – even TV’s – from up to 30 feet away. Beats Wireless headphones support SBC, APT-X and AAC Bluetooth, which means you’ll always have a high-quality stream. Instead of digging around for your music player when you want to change a song, use the controls on your ear cup to manage phone calls and music. 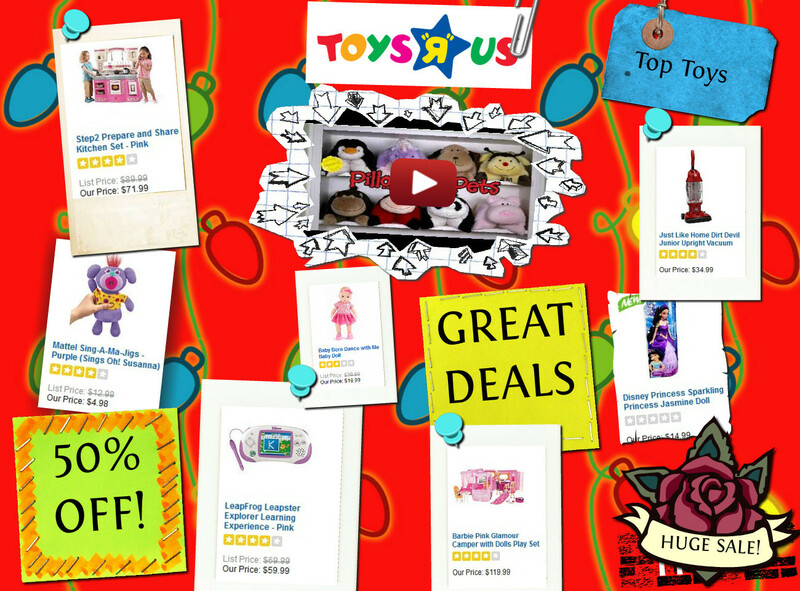 Every visitor to your site comes in looking for something. You only have a few seconds to grab their attention and convince them that you’ve got what they’re looking for. Your website message is your chance to make the pitch. their needs….and all in less than 5 seconds! Sell them “YOU”. Then sell them products. Use the Coffee Millionaire System to promote YOUR Coffee business, which helps change site visitors into customers. Our simple system allows you to profit by marketing more coffee and rapidly building your team with new representatives who are going to duplicate. It does this like nothing else you have ever seen! Be YourselfForget the form and formality of traditional print and broadcast media. The web is much more casual. Be conversational. Write it the way you would say it. Just don’t forget spelling and basic punctuation. Be ConciseGet to the point quickly. The average Internet surfer scans pages rather than reads them. Give them just enough info to know who you are and what you do. They will look for more information once they’ve decided your site might have what they’re looking for. Be ConsistentMake sure the tone and style of your message matches the identity you have created for your company. Keep the message “look” (font, size, color, bolding, italics, etc.) consistent with the look of the rest of your website. Take the following steps immediately to get started.